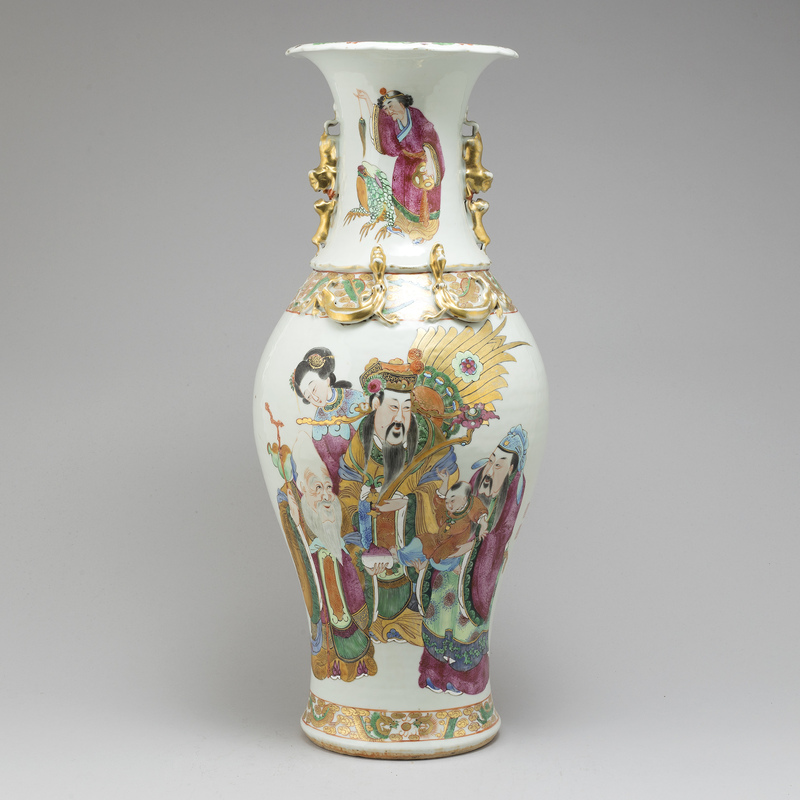 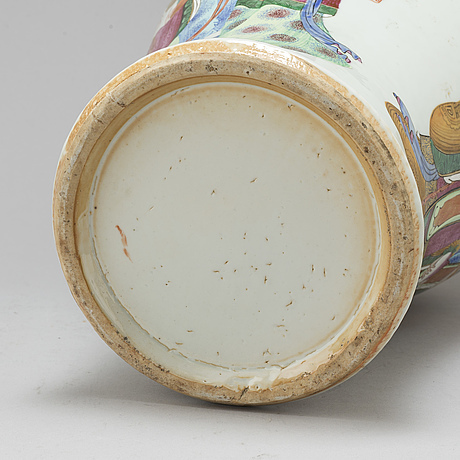 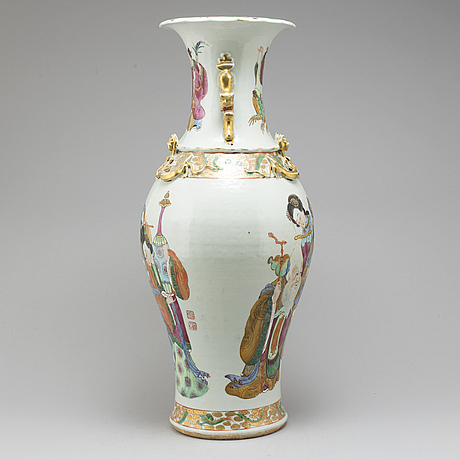 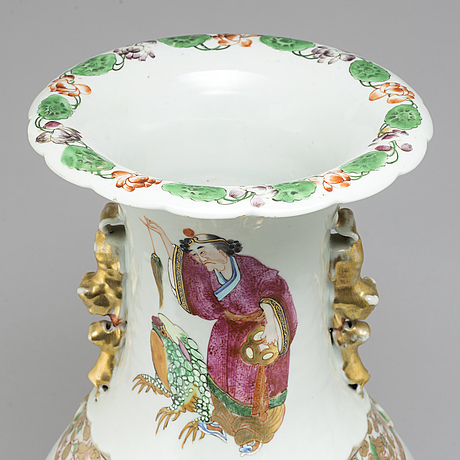 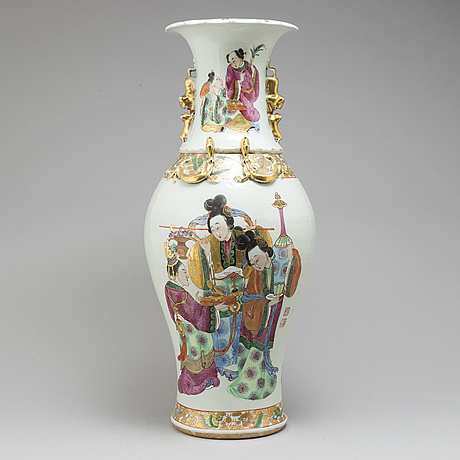 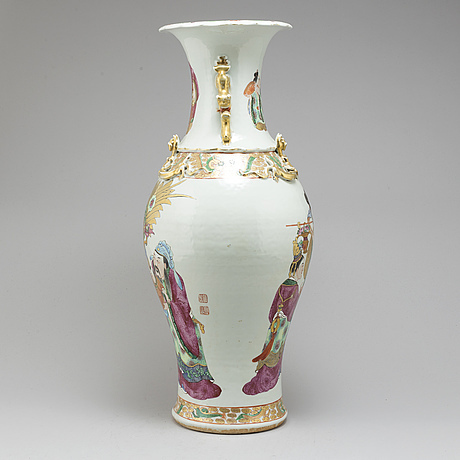 A Canton famille rose vase, Qing dynasty, circa 1900. 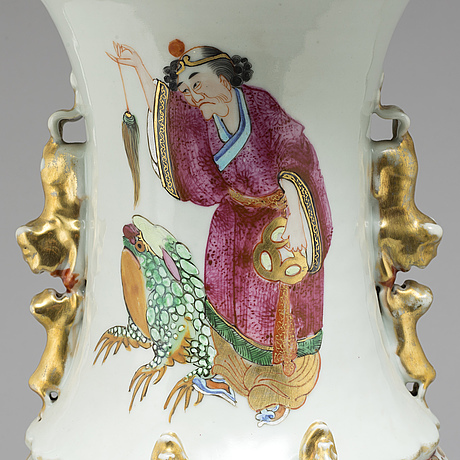 Baluster shape, decorated with a figure scene. 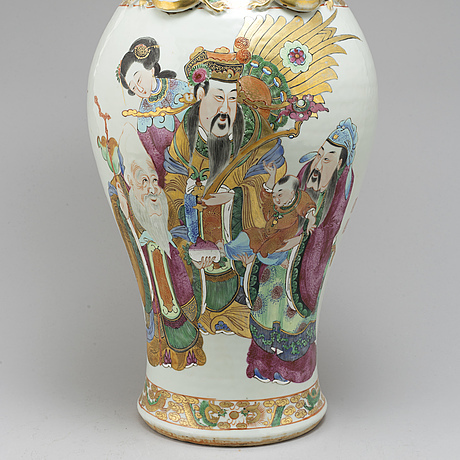 Height 63 cm.